Jackson Hole has seen an explosion of media attention this season, thanks, in part, to being featured as the #1 ski destination in Ski Magazine. Now articles in some well known and not so well known periodicals crop up regularly with the popular “10 best” titles referring to what Jackson has to offer the visitor. It seems every article is the same, pandering to a market of the typical kitschy cachet popular in Jackson Hole. They tout the same restaurants, to which I almost never go, the same tourist trappy bars and “nightlife,” and the “things to do” don’t vary much either. They almost always have the same format boasting local sayings and vernacular I’ve never heard, as if they hit the secret local lore jackpot when they were granted admittance into the most legitimate local’s hermit cave and sat before the fire for a spell and learned the ways of the Hole. It seems to me more like a who’s who of marketing budgets, which is why the same names are featured on every list. I don’t know for sure; it’s a guess. 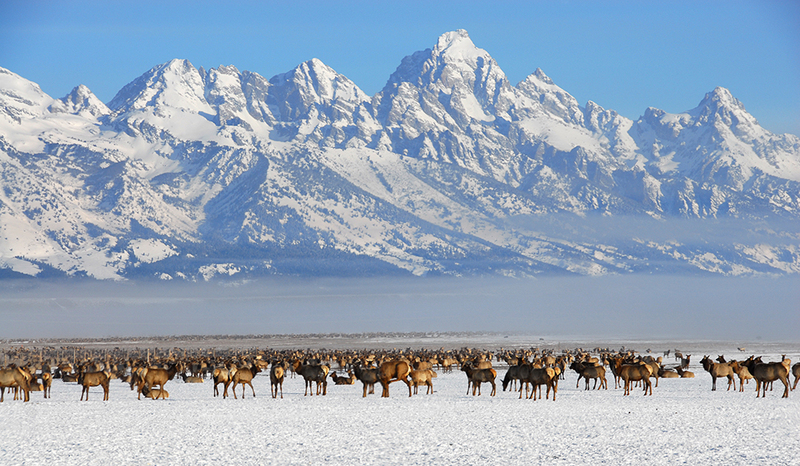 What I do know is almost entry on any top 10 Jackson Hole list would never make it into mine. I am a Jackson Hole local and I will give you the real deal on Jackson’s Top 10. My top 10 is atypical. It’s not “what everyone does” when they come here. It’s what are the most unusual and worthwhile things to do while you’re here. It’s also fairly budget conscious, as most locals have to be. Anyone can tell you to go to the tourist bar; you can find that information anywhere. This is off the beaten path – a real local’s top 10. Enjoy! 9. Cross Country Skiing Cache Creek – a beautiful spot with some nice, uphill trails where locals love to recreate with their canine companions. 8. Snowmobiling in Granite Hot Springs – no brainer: snowmobiles – fun, soaking in hot springs – fun! Granite Hot Springs – breathtaking! 5. Snow Shoe at Taggart Lake – snow shoeing anywhere in the park is amazing, but Taggart is one of my favourites. It’s what winter’s truly about: silence, serenity, beauty, being one with all that is. 3. Drinks by the Fire – it doesn’t get any cozier than this!! There are many fireplaces and many drinks. Some favs: Virginian Bar (best fireplace), The Wort (quieter by the fireplace), your best bet is a wood burner in your own room!